Customer Portal Web based user interface that allows users to configure their PBX, create call queues and groups, view call detail records and billing information, listen to and delete your voicemail, upload music on hold. Find Me ( Digital Assistant) Setup a personal assistant to "find you" at up to five(5) Locations. This feature is configured per extension, and offers an extensive number of options to route calls once they have reached the given extension Callers are asked to "announce themselves", and are offered the option between locations to try the next location, or to leave a message. Unattended Transfer (Blind Transfer) Transfer a call to another extension, group, or phone number WITHOUT announcing the party being transferred. Call Forwarding Forward calls via the Portal, or via your device or SoftPhone. Calls may be forwarded to any extension or phone number. Device or SoftPhone forwarding functionality may vary by manufacturer. Incoming Call Blocking "Black list" phone numbers to block them from calling your PBX. Incoming Privacy Screening Force callers with "no caller ID" or "blocked caller ID" to enter a number that will be presented as their caller ID. Incoming Call Identification Identify an incoming call on the phone's LCD display by modifying the Caller ID display indicating how the call was routed. Call Queue Call queues are used to route calls in a first-in-first-out manner to the appropriate extension or group. These extensions can be agents logged into the system. Call Queues are commonly used with an ACD, where the callers hear an announcement that says something like "thank you for calling, all available agents are busy, you are Nth caller. Estimated wait time is N minutes. Please hold for the next available agent, or press N to leave a message". When the call is ready to be routed, the ACD handles the routing rules. Company Wide Directory A list of contacts and phone numbers that are uploaded via the Portal, and are made available on an IP phone or SoftPhone. Forward your calls Locally or Remotely via Phone or Web Call forwarding is easy to setup and manage. Call Detail Records Real-time call logging is available via the portal. From, to, call duration, date and time, and call type (International, On-Net, etc). In addition, frequently called numbers can 'tagged' with text descriptions for legibility. FREE Calls to other Voice subscribers All calls "on-net" are FREE. That means you will not be billed for any call to another user on your PBX or any other customer. Domestic Origination provides local phone numbers or DIDs in most of the LATAs in the United States. That means that we can port your local phone number to our system, and provide your company with the highest quality voice communications and flexibility of Voice Over IP (VoIP). Domestic Termination provides competitive outbound call packages ranging from pay-as-you-go, pre-paid minutes, and unlimited usage plans. Our per minute rate is competitive, and our quality and reliability is uncompromising. International Termination offers competitive international rates. International rates are available via the website. SIP Trunking Have your own PBX, and want to realize the flexibility and cost savings of business-quality VoIP? offers ATA and SIP Gateway devices, or you can connect your SIP enabled PBX to our network and realize the benefits of VoIP. E911 support, compliant with all FCC mandates Every location and phone number where you utilize a device or SoftPhone must have an associated E911 charge and entry in the Web Portal. The phone number associated with your location is then registered with the national E911 database. You are also ronsible to update this information with if you move any device to a new location per the Terms of Service. Toll Free Numbers Utilize one or multiple Toll Free numbers which may be routed to a specific local DID, auto attendant, group or queue. 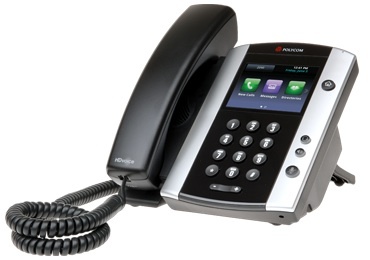 DHCP for VoIP Devices Provide the IP addresses for all VoIP devices. Data Bridge The data side of the network is passed through the VMD. Diagnostics The VMD has diagnostics that our support Agents may utilize to diagnose any issues you might have.